Me in a nutshell: Career expat wife, just passed the 55-year mark, with almost 31 years living overseas (as an adult) under my belt. I love cooking and writing and writing about cooking. My birthplace and where I call home-home: New Iberia, Louisiana. This is where I got my cooking “roots” because in New Iberia food trumps all. My grandmothers showed they loved us by cooking for us. We showed we loved them by eating it all. Over the years, I have learned to make their special dishes, but I still can’t match my paternal grandmother’s fried chicken. My hometown by virtue of sheer years of presence and family still living there: Houston, Texas. Texas is big and bold and independent and proud. It teaches never give up, never give up, never give up. If you grow up in Houston, Texas, you can go anywhere with confidence. My immediate family: A lovely husband who works all the hours God sends, grills the best steak in town (wherever we live), brings flowers for no reason on occasion, whom I would follow anywhere till the ends of the earth. Two extraordinary daughters, both talented and smart. The elder one graduated from Rhode Island School of Design in 2013 and her little sister graduated from RISD in 2015. They are beautiful, compassionate, passionate girls and I could not be more proud. 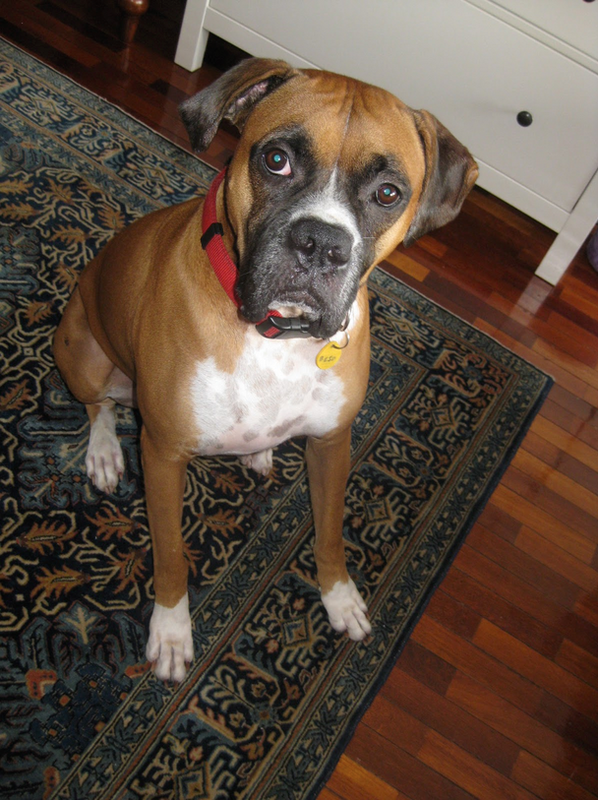 And last but not least, one silly Boxer named Beso. Because Boxers need B names. Sadly, I must update this to say that Beso has passed on. We miss him desperately every day but at 11 1/2 years old, he had a good long life of love and comfort. We are grateful for his memories. My professional background: Degree in Journalism from the University of Texas at Austin. My career includes stints at the Girl Scouts of San Jacinto Council (Houston, TX), editor at an advertising agency and publisher, and public relations officer at InterContinental Hotels (Abu Dhabi, UAE.) As publications director, I edited the American Association of Malaysia’s monthly magazine for four years. I was also managing editor at Sunday Supper Movement, where you'll still find more of my recipes and food photography. Why I've lived so many places: Both my father and husband work in the oil industry and company transfers are common. We go where they send us! I lived several years overseas as a child. And many, many more as a grownup. How my children feel about the expat life: I get asked this question A LOT. Read this post for one answer. Her little sister feels the same. Here are the places I’ve had a bedroom: Pointe-à-Pierre, Trinidad; Caracas, Venezuela; Houston, Texas; Houma, Louisiana; Negritos, Peru; Maracaibo, Venezuela; Jakarta, Indonesia; Austin, Texas; Bandar Seri Begawan, Brunei; Singapore; Sydney, Australia; Abu Dhabi, United Arab Emirates; Balikpapan, Indonesia; Paris, France; Macaé, Brazil; Kuala Lumpur, Malaysia; Cairo, Egypt and now, Dubai. Some of these, more than once over the years! Why Food Lust People Love? 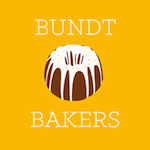 I’ve been asked more than a few times how I came up with my blog name. Right up there with food is my love of language. I’m kind of a word geek, with whole shelves on my bookcase devoted to books about the English language, its derivations, word etymologies, idioms and euphemisms. As devoted as I am to the correctly written word, I also like mixing things up. 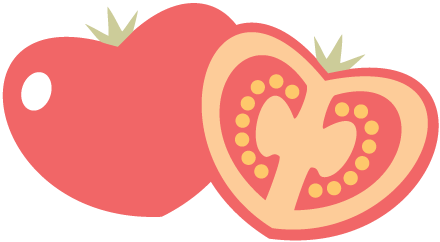 So, in Food Lust People Love, the nouns Food and People are actually used as adjectives, modifying the words Lust and Love. Too much grammar? Well, then, let's just say that my blog is called Food Lust People Love because we can Lust after fabulous Food but it’s People we should Love. And the best way to love them is just like my Cajun grandmothers did, by cooking for them. If you'd like to learn more about my life overseas: Have a listen to this fun podcast from Food Blog Radio. Something many people don’t know about me: I loved Harriet the Spy as a child. Not because she spied on people, but because she wrote notes and hypothesized on paper. Writing has always come naturally to me and Harriet’s looked like the perfect gig. Harriet’s saving grace at the end of the story, was becoming the editor of her school newspaper. What could be cooler than that? “She found that when she didn't have a notebook it was hard for her to think. The thoughts came slowly, as though they had to squeeze through a tiny door to get to her, whereas when she wrote, they flowed out faster than she could put them down.” – Harriet the Spy by Louise Fitzhugh. My blog design was created by my talented elder daughter, Victoria. She creates useful beauty at Font Bureau. Her website is here. She is happy to take commissions for hand lettering as time allows. The font on this blog is her second release, designed for text type, Embury. Any questions? You can write me (Stacy Rushton) at foodlustpeoplelove [at] gmail [dot] com. What a great site 'SLR' - Kari directed me here...the amount of detail you bring to your blog is inspiring. Some time ago I bought Garam Masala thinking I would just use it like curry powder. After reading the label a little closer I see it is used as a finishing spice. I am out of curry powder and was thinking about using the Garam Masala as I substitute until I buy more. What do you think? No. Garam masala is not really a substitute for curry powder. They are two different flavors and personally cannot use as a substitute. Garam masala is not only great for indian foods but great as a dry grilling additive. I use it in my shish-kabob recipe (with some curry powder also) and my mexican fajitas. Thanks for visiting my blog! And I have to repay the compliment - I love you as well! You are living my dream life! I would love to be able to claim that I had bedrooms in such fantastic places! I'm really hoping that my husband gets a few more foreign assignments before we are shipped back home. And TWO girls in design school??? You must tell me your tricks to raising such creative kids! I have a degree in graphic design and am licensed to teach art in the US, so I'd love to see my own two girls head off to design school someday. But I'm not too optimistic about this happening as my five year old just told me that when she grows up, she wants to be a "checker" (as in cashier) at the grocery store. At least I don't have to worry about saving for college anymore ;) I'm off to make your Nutella muffins now! No promises, but if you make it readily available to them, you have a better shot at getting them interested. You probably know this as a teacher, but a lot of children stop liking to draw when they get old enough to notice that what they are capable of drawing doesn't match what their brain sees. We worked on having fun and not making things perfect. Often I would make deliberate mistakes in my own drawing (which was quickly outpaced by their developing talents) so that I could show them how to work around that and how the piece could still be something they would like. The more they drew, the better they got. You have an amazing life ahead of you and I am jealous that you are just starting out. Sometimes I wish my girls were little again. Crazy busy times, but good times as well. Enjoy! I really like that you focused on not making things perfect. So many teachers just assign projects that have only one outcome and expect the kids to make a carbon copy of the example that the teacher shows - not a lot of room for kids to learn and grow. And then they wonder why most kids become so self-conscious about drawing. I really do need to make more of an effort to do more creative stuff with my kids. I've always felt guilty that I could spend a day at school working on creative projects with other people's kids, but by the time I got home I was too tired to do much with my own kids. Thank you for the reminder that someday I will look back and wish that they were young again and to enjoy this time. Some days I really can't wait for them to grow up, but then I look at my five year old and wonder where the last five years went. I love your professor's story! You've got to reach them at their level or you've lost them! He is a wise man. Over the years the girls have had a few teachers who tried to "fix" their projects or drawings for them and, boy, oh, boy, did we have anguish and tears over that! The best teachers teach technique and let children explore. It's not theirs anymore when we put our pencils in. And they know that. Don't rush these years! They go by too quickly already. I agree with the aforementioned comments about the detail and honesty you bring to your writing; it's truly inspiring! Writing is near and dear to my heart, and I'm glad I get to do more of it now that I have a blog (I majored in writing). I so appreciate your generous comment on my blog. And this is one of the best "about me" pages I have read! Definitely bookmarking to inspire me as I re-do mine - - a new year's resolution of sorts. Happy Blogging, Stacy! Thanks, Lauren! I responded to some of this as a comment on your creative blog but I just wanted to say thanks again for your kind words. Thanks, Ishita. I have a lot of fun doing it and it has opened a whole new world of community for me, with fellow bloggers like yourself. I have bookmarked your lovely post about all the things to do in Dubai! It should be required reading for all newcomers and tourists. Can't wait to get started! I have been loving perusing your recipes and more of your blog as I've had a bit more time the last few days. You are so gifted! Cannot wait to try these recipes and also love your story-telling that goes along with them! Thank you, Marilyn! Your words mean a lot to me since you are such a gifted writer. Know that your every post touches me, even when I don't comment. I just spent a very enjoyable evening with your lovely mother-in-law (long time friend of my mother) who sent me to your blog. I have known Heather and "Grand-Bob" for years, but am only recently learning of their amazing adventures. I went straight to "Meat Loaf by Heather" but enjoyed many of your recipes and stories of your adventurous life. I am signing up for more! Thank you for your kind words. As you can see, I have been very blessed with great in-laws. The good life they've led has been an inspiration to me in our nomadic life. I am sure you heard some wonderful stories from all over the world! You should ask Heather about when she first left the UK and how she and Simon's father traveled in style to South America. It's a good one! Thank you for visiting with Heather. I know she appreciates the opportunity for some friendly conversation. I hope to meet you someday. Perhaps this summer? Thank you, Karin! I am sorry I am just seeing this but you are very kind! Stacy, your 'about' section is so beautifully heartfelt, detailed and wise. I can't believe how many different places you've lived - argh! I think I'd go mad if I had to move that many times! I'm from Perth, Western Australia (I can see that you've got 'Sydney' in your list of places!) but I was born in the UK and have lived in both places during my developing years. I now reside with my gorgeous, strong, wise and gentle husband. We're Boxer lovers but our apartment just isn't big enough for a dog at the moment :( Beso is gorgeous, and must be pretty well travelled also with you and your husband as owners! Thanks for visiting and following! And thank you for your kind and generous words. I am always delighted to "meet" a new reader. You will find as you read that I am an anglophile from way back and I will tell you now that Sydney was one of our favorite places to live and Australia is one of our favorite countries to visit. As for our nomadic life, I don't like the actual packing up and moving but I always love the new adventure. Beso is our third "married" Boxer as I had two when I was growing up. They were all well traveled! Hello from Houston, Stacy - and from someone who's also in oil & gas. I stumbled on your blog last night as your Rough Pastry Tomato & Oilve Tart came up as one of the food articles of the day on Zite, an iPad app that allows a user (me) get a daily digest about things they are interested in (in my case food, international news, fitness, pregnancy...in no particular order :). After working in the industry for quite a few years and earning my Rice MBA this spring I wanted sooo-o-o badly to land a proper international assignment - my husband and I love to travel (my country #31 was Ireland back in May, and in his professions he may be able to work from home) - but then came our first pregnancy - and even a week in Paris next Feb has to be put on hold. I love good food and I love good writing, so thank you again for your great blog; I will be checking in often. First of all, congratulations on your impending motherhood! My girls are the joy of my life and I know you will be blessed by that new baby. Congratulations on your MBA as well. What a great achievement. Before you know it, you will be able to travel again and perhaps even live overseas. It sounds trite, but just enjoy each day as it comes. The whole of life, wherever you are, is the adventure. Thank you for letting me know about Zite. I do have an iPad but had never heard of the app. It sounds like a great way to keep up with interesting news. I've downloaded the app now. I wonder how they choose things to feature. Thank you so much for taking the time to write. I am always delighted to hear from readers. When I started writing the blog, I never dreamed of the nice people I would connect with through it. That has really been the best part. Best of luck in future and please keep in touch. I SO wanted to be Harriet the Spy! lol! Glad to meet a kindred spirit, Echo. From your profile it looks like you got to be the next best thing: A journalist. Thanks for taking the time to write me. Very, cool, Stacy! We even have more in common - I went to college in Texas, too - I chose the University of Dallas because they have a Rome Program & I got to spend a semester there! I also love to write. My husband lived in New Orleans until 10th grade when he moved to London & then on to Aberdeen to finish high school. I am not a military spouse, but I work as a Civil Servant for the U. S. Navy Seabees and am the PAO. I am not surprised that you found someone to marry who had also spent time overseas as a child, Susan. We seem to gravitate towards each other. :) I have been trying to search but can't seem to find what PAO stands for. It sounds like an interesting job though. WOW! You did a great job with your about page! I immediately joined your fb bc I can tell you will have great stories and sense of humor! Thank you so much! You have made my day with your kind words. wow. you reallly have lived around the world! Impressive! You must know so much about the different global cuisines you encountered! I am constantly trying out new dishes to add to our family repertoire, Mimi! So much still to learn and discover. Well, I am originally from Houma! My dad was in the oil industry but he made his mark right there in Cajun country. Glad I found your blog. I just hit 52 about a month ago. It's not so bad. My dad started out working in Houma for his first job with Texaco so that's where we lived when I was born. Then Texaco transferred him (and us) to Houston and overseas. can you please send me your email address so I can share with you the details of the event. My email address is on this very page in two separate places. Thanks for stopping by! Hi Stacy, looking forward to making your spinach & egg muffins. They look yummy. I'm in Buck's, England. Hello Stacy, I am back again. 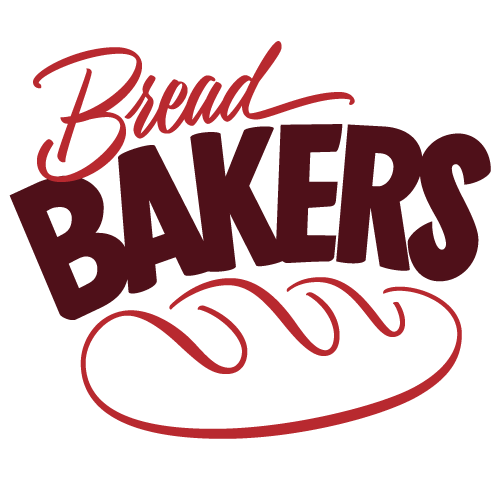 I am really loving to be a part of breadbakers. 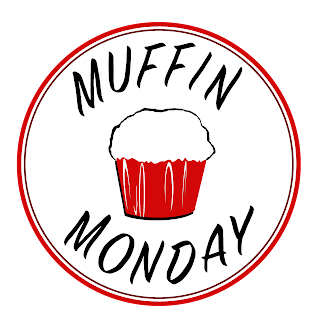 I want to join muffin mondays as well. Please guide me. Thanks and love! Julie? So delighted to hear from you! The Nissan is still going strong. Miss your sweet smile as well. We are all good. Hope you and yours are too! Hi, Sandra. Unfortunately the comment section on the recipe posts is not working right now. I've got someone kindly looking into it and hope to have it fixed soon. But thank you for your kind words!